An Amnesia beam seems to be possible, based on research done on animals. 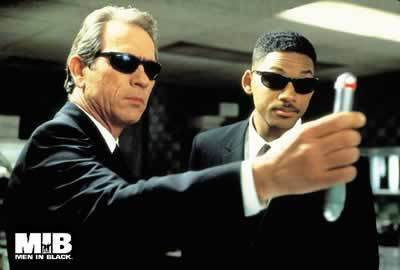 Although the Men in Black probably won't be getting neuralizers any time soon, it's not because they aren't working on it. It turns out that it is possible to induce retrograde amnesia in rats with a brilliant flash of light. Wired also points out that, in a 1980's study, low-level exposure to a beam of electrons can cause rats to forget what just happened to them. It has been demonstrated that electron beam exposure produces retrograde amnesia (RA). RA production was evaluated using a single trial avoidance task across a 10,000 dose range for 10 microseconds, 1 microsecond, and 0.1 microseconds pulsed exposures. The dose-response curve obtained at each pulse duration showed significant RA production. The most effective dose range was 0.1-10 rads at a dose rate of 1 million rad/sec. Our conclusion was that the RA effect might be due to sensory system activation which provided a novel stimulus that masked previous stimuli (produced RA). Given all the attention lately to Amnesia Drugs, Selective Memory Deletion by altering enzymes and Memory-Erasing Chemicals, it's good to know that amnesia beams are not being neglected. From Wired; thanks to Moira for the tip.